When it comes to exercise and health, we can all agree that hikes are a pretty great way to go about getting a sweat on. Trekking through lush forests and scaling rocks to a breathtaking summit yields visual rewards as much as a physical workout – win-win, yes? Whether you’re an old hand at hiking or totally new to the game, there are plenty of trails around Brisbane and the Gold Coast to suit any skill level. We’ve teamed up with our official site partner Mercedes-Benz Brisbane and its mountaineering maverick Sofie Formica to hunt down some of the best hiking spots around Brisbane and beyond. Don’t forget your sturdy shoes! Rookies, you might want to give this one a miss – the mighty Mount Tibrogargan hike is no joke. 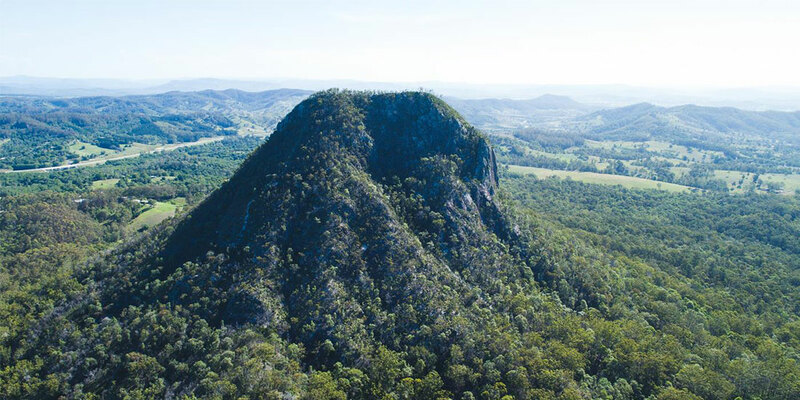 Touted as one of the best natural workouts in southeast Queensland, this well-known hiking spot can be found at the Glass House Mountains in the Sunshine Coast. If you start on the Tibrogargan circuit walk, eventually you will encounter a sign pointing to the summit – this is the tricky part. The trail goes up rather steeply until you get to the base of a cliff where you then follow clear wear marks to climb your way to the top. Eventually it levels off with more bush and you’re at the 364-metre summit – what a rad reward! 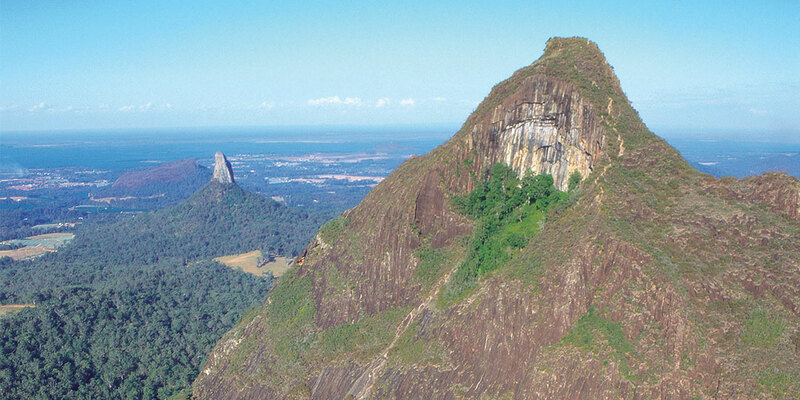 While we’re on the subject of the Glass House Mountains, Mount Beerwah is another great hike to tackle if you’ve got a bit of experience under your belt. Whilst not quite as hectic as the Tibro, this summit is still pretty serious business – some rock scrambling experience is essential. 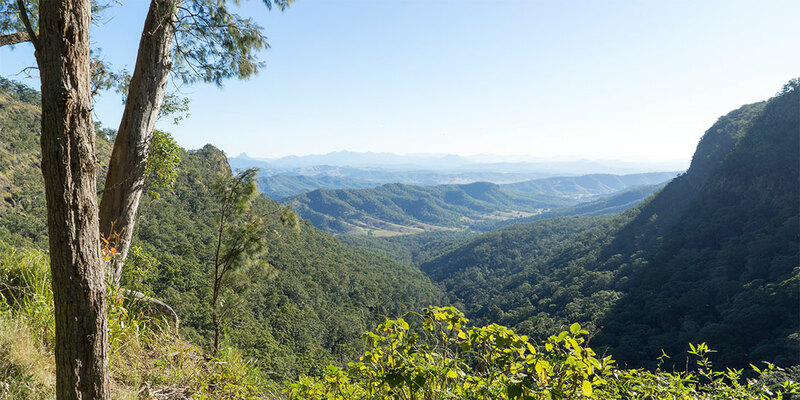 The sights that await you when you reach the top are totally worth the effort – sweeping views of the Sunshine Coast hinterland and surrounding mountain ranges abound. All up you’re looking at around 2.6 kilometres of trail, with most experienced climbers clocking the time at around 3 hours return. If you’re after a location with something for every experience level, Springbrook National Park is teeming with awesome walks and hikes. With classifications ranging from a class one (suitable for disabled patrons with assistance) through to a class four (moderate fitness with previous experience recommended), the park offers up tracks and trails that weave through the stunning terrain of ancient forests, over suspension bridges and around flowing waterfalls. Chasing a taste of the beach and the bush at the same time? No need to choose at Noosa National Park – this coastal gem provides the best of both worlds. There are a range of trails that loop through the park and follow along the headland, providing stunning views of both the natural forest and pristine bays of the beach. If you’re lucky you might even spot a koala having a kip up a tree! Depending on your fitness levels (both yours and those you are with), you can check out this handy council map to suss the severity of the walking trails available. 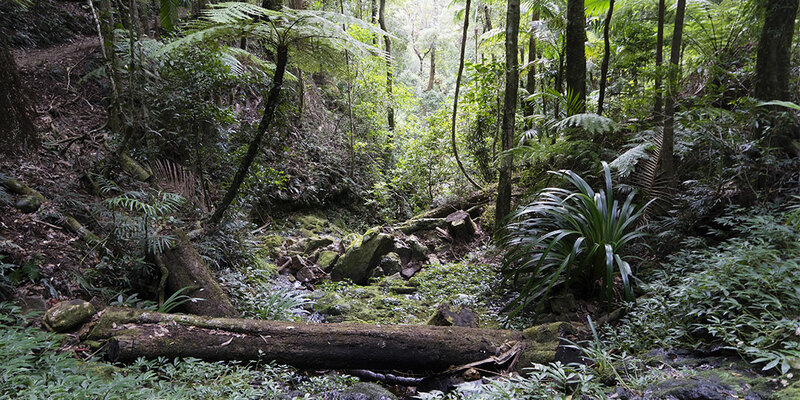 Anyone fond of a little nature action would no doubt be familiar with Lamington National Park, the southern gem packed with a range of walks for all experience levels. Novices can enjoy a cruisy walk through the rainforest circuit or centenary track, or you can step it up a notch with the Python Rock track or Tullawallal circuit. There are a huge number of class four tracks that you can access from both the Binna Burra section and Green Mountains section of the park, depending on where you’re coming from. If you want a real challenge, consider the Illinbah circuit – expect water wading, rock hopping and some seriously thick vegetation. When a hiking trail has earned its own race that shares its name with a banger Midnight Oil song, you know it’s the goods. Taking pride of place in Tuchekoi National Park, Mount Cooroora is one of the Sunshine Coast’s most famous peaks. Known for hosting the annual King of the Mountain race, this climb is a decent challenge that also provides some good resting points along the way if you need to regroup. The track contains stairs made up of concrete, chiselled rock and metal, as well as a few sections of scramble and free climbing. Hiking lovers will be spoilt for choice at Mount Barney National Park, the sprawling park with loads of natural landscapes to explore. There are a number of walks around the base of Mount Barney that vary in distance and difficulty, as well as tracks to the summits of the mountain and Mount Maroon. 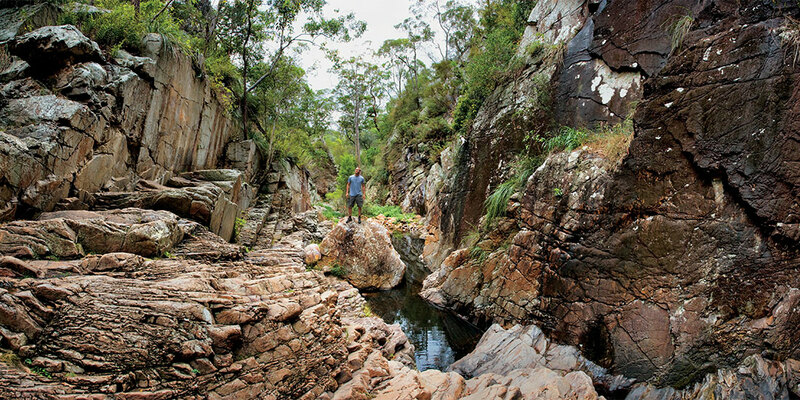 For those chasing something super adventurous, there are some stunning remote bushwalking opportunities that are amongst the best in Queensland – these are for serious hikers only, so be sure to check in with the Department of National Parks for tips and advice if you’re planning on heading off on a trek. Calling all average rigs – you don’t need to be a superstar to navigate the Booloumba Falls walk. 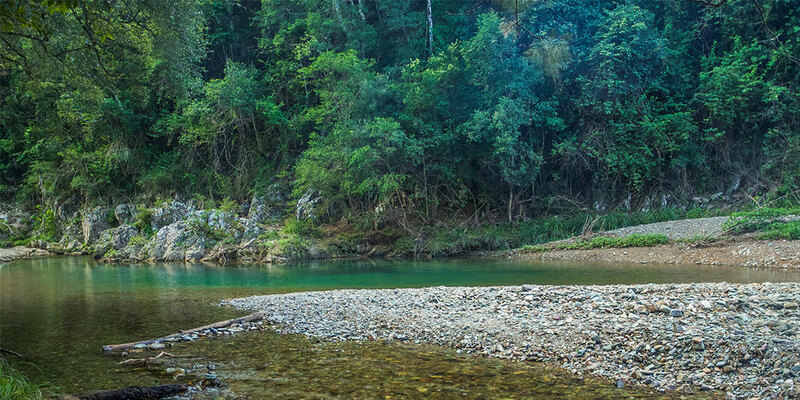 Conondale National Park, nestled in the rugged Conondale Range, abounds with lush rainforests, tall eucalypt forest, waterfalls, boulder-strewn creeks and spectacular scenery. From the valley, through deep gorges to the top of the range and back again, the vast and varied landscape will keep you thoroughly amazed. Ancient rainforest, cascading waterfalls, crystal clear creeks, tall open forest and sweeping 360-degree views are just a taste of what to expect on the trail. 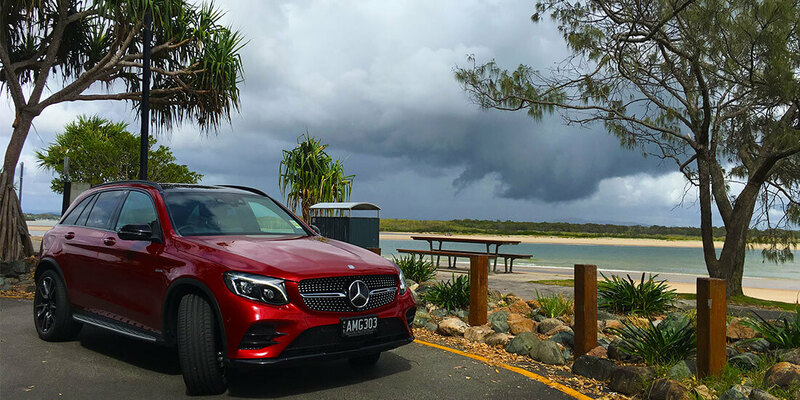 This post was created with our good friend Sofie Formica, ambassador for our official site partner Mercedes-Benz Brisbane. Featured vehicle is the GLC 43 AMG in Hyacinth Red Metallic. Available at Mercedes-Benz Brisbane. All other images appear courtesy of Tourism and Events Queensland.